In 2015, Women of Color Day is 30 years old and has been commemorated in 25 states and 5 other countries. Commemorations have ranged from a day to a week. Hundreds have been honored as Outstanding Women of Color and Girls of Color. Men, other women and groups have also been recognized for their support of women of color, commitment to ending racism, sexism, homophobia and every kind of bigotry, discrimination inequality and injustice, as well as to sustaining the life of our planet.. When founded by the National Institute for Women of Color (NIWC), now inactive, there had been no day in which the achievements and contributions of women of color were regularly and consistently recognized. Women of Color Day was founded and established on March First annually, in Washington, DC for the nation.. Suzanne Brooks, now CEO of International Association for Women of Color Day, served on the NIWC Board for 11 years. During those years, with other graduate and undergraduate students at Washington State University, she also co-founded the Women of Color Kaukos student organization there. NO 2013 Annual Community Women of Color Day/Diversity Event was implemented in Sacramento. Since 1991, with a brief interruption after Suzanne Brooks left the CSUS Multi-Cultural Center as Director, Sacramento has held annual Community Women of Color Day/Diversity Events on the first Sundays in March. Support from area small business vendors and exhibitors from Sacramento to the San Francisco Bay area, along with sponsor support from Calpers (California retirement system), California Teachers Association, Los Rios Federation of Community College Teachers and SMUD (Sacramento Metropolitan Utility District), has been strong. However, beginning in 2009, local support for the event by advertisers in the souvenir program booklet and from sponsors, upon which the event relied for funding, dwindled. During its 30 years of existence, more than 250 Outstanding Women and Girls of Color have been honored in Northern California, including Sacramento. Recognition has also been given to women, girls, men, organizations and businesses of all groups who work for justice, equality and diversity. IAWOCD has produced and marketed logo products, music CDs and books to raise funds. Many volunteers have contributed efforts in program implementation and as advertising sales staff working on commission to raise needed funds. C&T Specialties in Elk Grove, California is the official manufacturer of Women of Color Day logo products and award plaques. Area print/electronic media have been generous with publicity. Women of Color Day continues growing across the nation and internationally. Sacramento has become its home and headquarters. 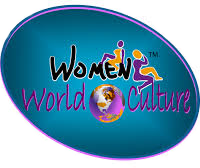 WomenWorldCulture, like IAWOCD, is a social entrepreneurship, not a 501 (c) 3 charity nor a non-profit. Contributions to International Association for Women of Color Day and WomenWorldCulture are not tax deductible. The term "women of color" is used collectively refer to the unique experience of being subjected to racism plus sexism. Racism may also be experienced as national origin discrimination. This expression was not imposed by others, nor by governments. It evolved from the experiences of women of color in an effort to find commonalities in the experiences of each other and to point out the burden of this intersection of discrimination. It is not a unique experience of women in the United States, but has parallels in other countries.